Experience cinema like you’ve never tasted before with Jelly & Ginʼs Watch and Wolf. As part of Homecoming Scotland 2014, the renowned food experimentalists are bringing a series of festive favourites to the big screen in a new multisensory event. A cinema experience with a twist, at Watch and Wolf cinema goers can fully immerse themselves in a film by eating and drinking along with the characters. Running throughout December 2014, Watch and Wolf is set against the picturesque backdrop of the National Gallery of Scotland. The first three screenings will have a decidedly Christmassy feel, and will include the retro classic Gremlins and perrenially popular Elf and The Wizard of Oz. On arrival guests will receive a box which holds numbered packages of bite-sized food and cocktails. 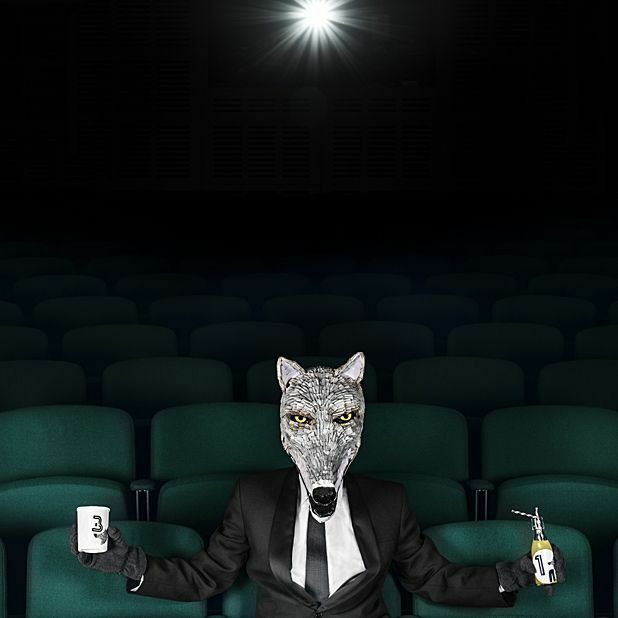 The event host, the ever stylish Mr Wolf, will signal to guests during the film when to eat and drink their treats. Each film has its own specially tailored menu of tasty bites and conceptual drinks. Expect a rainbow in a glass and syrupy spaghetti all to chew down with the film's most iconic moments. Tickets cost £28 and are available at www.jellyandgin.com. Scottish National Gallery, The Mound, Edinburgh EH2 2EL. Screenings start at 8pm sharp, guests must arrive at 7.30pm to collect their food and drink, no admittance after 7.55pm. This is a strictly over 18s event. Jelly & Gin present a multi-sensory film experience. Upon arrival guests are presented with a box of bite-sized food and cocktails which they eat and drink at the same time as the characters on screen. Each film has its own specially tailored menu of tasty bites and conceptual drinks.